For the calendar year 2011, the Tourism Authority of Thailand has revealed that a record number of 917,832 Indians travelled to Thailand in comparison to 791,185 in 2010, making it the number one destination for Indians with a growth rate in excess of 16% in 2011. In 2012, this growth is continuing with 210,722 Indians visiting Thailand from January to March, representing an increase of 1.64% over the same period in 2011. With its wide range of “value for money” offerings that include leisure sports, fine dining, adventure services, wellness and quality hotels and resorts, Thailand has been consistently increasing in popularity among Indians from all parts of the country. Travel agents, tour operators and even niche segment travel trade members have actively been working with the Tourism Authority of Thailand in launching new packages that encourage first-time and repeat travelers. Packages that included destinations such as Pattaya and Phuket have now been further enhanced to include new beach destinations such as Ko Samui, Hua Hin and Krabi. Mountainous regions of Chiang Mai and Chiang Rai have also become attractive for the corporate sector in addition to adventure seekers. Commenting on TAT’s success strategy, Mr. Buddhani stated that the Tourism Authority of Thailand focused on educating travel agents, tour operators, wedding planners and media on new and exotic destinations in Thailand through ground-based marketing activities that include workshops, seminars and educational tours. 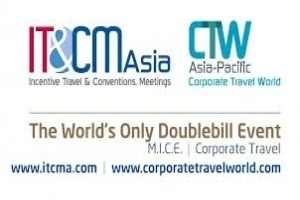 Augmented by exhibitions, joint promotions and mass communication through a wide range of media that include outdoor, print, electronic and online, the Tourism Authority of Thailand has been able to effectively position Thailand as a ‘Value for Money’ destination.